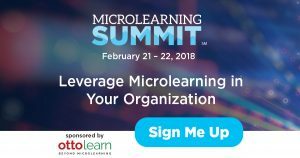 Explore the current state of microlearning, separating fact from fiction so you can understand what microlearning truly is. Discover how the most powerful microlearning solutions provide people with task-related support when and where it is needed. Review how a healthcare organization used microlearning to support a major software upgrade in its revenue service center.